It will probably come as no surprise to the majority of business owners that the content marketing industry is booming. 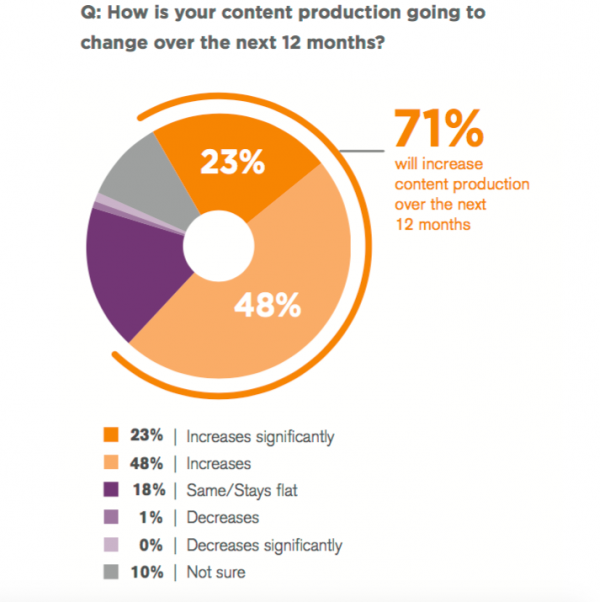 In 2016, $10 billion was spent on content in the US alone, according to Forrester Research, and 71% of B2B marketers plan to increase production during the next 12 months, as is shown in the chart below from BrightTalk. One of the best and most lucrative uses of well-produced content is undoubtedly lead generating; BrightTalk notes that 55% of marketers say that this is their main goal when it comes to content marketing. However, creating a strategy can prove difficult; the same study also found that just 19% of marketers would label their current content marketing efforts as ‘very’ or ‘extremely’ effective. With the huge amounts of content being published every day it can be difficult to get your brand noticed, but by employing a few key tactics your content marketing activities will be able to attract relevant leads that are much more likely to convert. What Makes Content Marketing So Effective? It’s no secret that content marketing can draw in large amounts in revenue; one particularly impressive example is that of Xerox. In 2012 the company put together a microsite targeting particular companies through relevant tips and guides. As a result, 70% of those companies ended up interacting with the site, leading to 20,000 new leads and over 1000 appointments being arranged – worth a total of $1.3 billion in revenue. So what exactly is it about content marketing that makes it such a solid bet when it comes to enticing new potential customers? Qualified Traffic – According to Forrester Research, the average buyer will guide themselves through 60% to 90% of the traditional sales process before even contacting a salesperson. This is where the importance of quality content comes in; someone who has visited your website is already interested in the product or service that you provide, the real challenge comes in the form of showing them that you have the perfect solution for their needs. Beat Adblockers – Research conducted by PageFair found that as of December 2016, there were 615 million devices using adblock software worldwide, with more rapid growth predicted. This is obviously very bad news for marketers who rely on paid ads in order to reach consumers. Fortunately, there is no such worry with content marketing; not only is it unaffected by adblocking software, it is also something that potential customers are likely to enjoy interacting with. Search Engine Visibility – According to GE Capital Retail Bank’s Major Purchase Shopper Study, 81% of shoppers research online before setting foot in a store. It is therefore imperative that potential customers can find you online, and having quality content that is SEO optimised is the ideal solution; every new post you create is another chance to get visitors to your website. 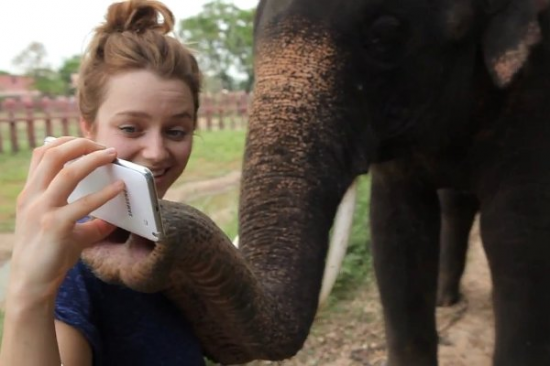 It’s Shareable – Word of mouth is still incredibly important when it comes to getting your brand noticed. A 2016 study by Nielsen found that 82% of Americans seek recommendations from friends and family before making a purchase, and 67% are at least a little bit more likely to buy something that has been recommended to them via social media or email. Having content with clear share buttons means that your customers can easily spread the word about your products as well as any articles that they find particularly interesting. It Demonstrates Your Expertise – Having informative blog posts and articles on your website allows you to position your business as an expert source of knowledge for your industry. This will not only make potential leads more likely to trust your products and therefore easier to convert, but will also mean that people will keep returning to your site for answers or tips; something that is particularly important in the case of leads who further up the sales funnel currently but may be ready to buy later on. It Highlights Pass Successes – Case studies and testimonials can prove to be extremely effective when it comes to converting customers. Talking about how you can help a consumer can only do so much; showing them the successes that others have had as a result of your company is likely to be far more impressive, and ultimately will inspire a lot more confidence in your brand. 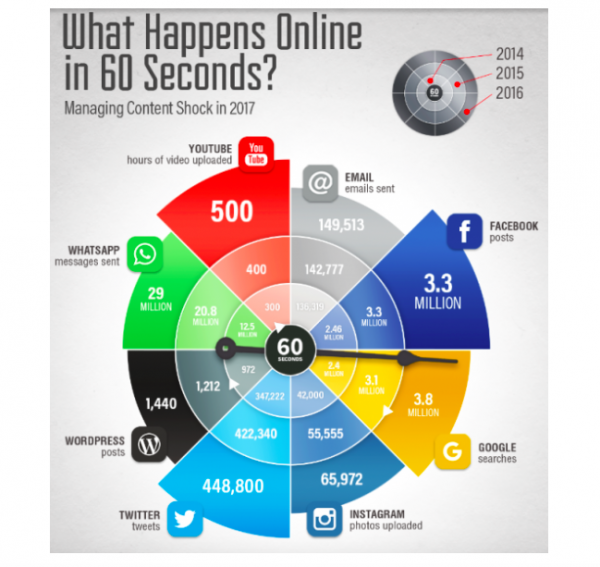 It can definitely be said that the amount of content being published in today’s digital age is nothing short of overwhelming – just take a look at the image below from Smart Insights detailing the shocking number of posts and searches that occur every single minute. With this huge amount of content being thrust out into the digital universe every day, it is no surprise that it is becoming more and more difficult to produce content that is not only unique but also likely to be interesting and relevant to consumers. In fact, according to a study by BrightTalk, 41% of marketers say creating truly engaging content is their biggest challenge when it comes to content marketing. One of the biggest problems with content marketing today is the fact that people have so little free time, and therefore don’t want to be sat reading articles that ultimately have no real value for them. This was highlighted by research from Chartbeat, who found that one in three website visitors spend less than 15 seconds reading articles that they land on. This issue isn’t helped by the fact that so much of the content published today provides no real solutions for consumers seeking out answers to questions; it is either too vague, too focused on selling, or attempting to do too much in one article and coming up short as a result. Thankfully, all of these problems can be solved, providing you are willing to put the time and effort into developing a more in-depth strategy. Clear Competencies – This doesn’t just mean having a mission statement for your brand; it’s much deeper than that. You need to ascertain exactly what the solutions are that your company can offer customers, and then how to communicate this effectively. Producing content that provides a thorough and direct explanation of how your business can help clients in your niche is the best way to generate more relevant leads. Knowing Your Audience – This is hardly shocking news, and yet still many companies fail to put the effort into gaining a thorough insight into their clientele; something that was evidenced in a 2015 study by IBM, which found that only 37% of consumers felt that their favourite retailer understands them. Using buyer personas is the answer; knowing exactly who your idea customers are will mean that you are able to shape your content accordingly, from everything from tone of voice to the time of day to publish. Ignore Your Competitors – Ok, maybe don’t ignore them completely; there’s nothing wrong in seeking out inspiration from other sources. However, when it comes to content it is worth always keeping in mind that your client base may not be the same as those other companies’. Focus on solving the issues of your own audience; create polls that will enable you to discover exactly what they are looking for and create content around this. Produce content that aims to address the issues that your readers have, not what you want to write about. Keeping it all relevant to your audience is the key; as is shown in the image below from BrightTalk. Although the concept of creating content that hopes to answer readers’ questions is certainly not a new one, it is somewhat neglected. In order to produce content that is truly valuable to your audience you need to prioritise their needs, instead of simply basing it on what you feel it should look like; the latter will ultimately lead to higher bounce, exit and unsubscribe rates. Don’t Skip the Research – Whether you have 10 subscribers or 100,000, the first stage in creating answer-based content should always be thoroughly-executed research. Every time you produce a new piece, you should commit to gaining a clear picture of how it will engage your audience. In order to find ideas that will be of use to them, you need to look at what websites they visit, words they type in search engines, and how they interact on social media, to name just a few. You can put your analytics to good use here; take time to get a good understanding of your figures for bounces, exits etc and then use this to shape your content. One Answer to One Question – Articles that cover too many different subjects at once are usually more of a hindrance than a help; readers are likely to feel bogged down by too much information and therefore switch off. The best way to style your content is to simply select one question, and provide a clear and detailed overview of how to overcome that one issue. Bonus tip: Be quick – Providing your readers with timely answers will mean that they are likely to refer to your site first when looking for specific information. By gaining a reputation for being the fastest to provide guides and solutions to trending issues or seasonal topics, your brand will always be top of mind and ultimately gain the confidence of your potential customer base. It can be overwhelming to have to consistently come up with unique content that stands out from your competitors, as well as the huge amounts of other content that the web gains daily. However, by shifting your focus onto gaining an in-depth insight into your audience, and subsequently providing them with the answers they need, the task is made much less daunting. Finding relevant leads for your sales funnel is vital for any business, and shaping your content marketing strategy around attracting them will always see more conversions. If you’d like more tips on marketing visit the blog at Global Database. 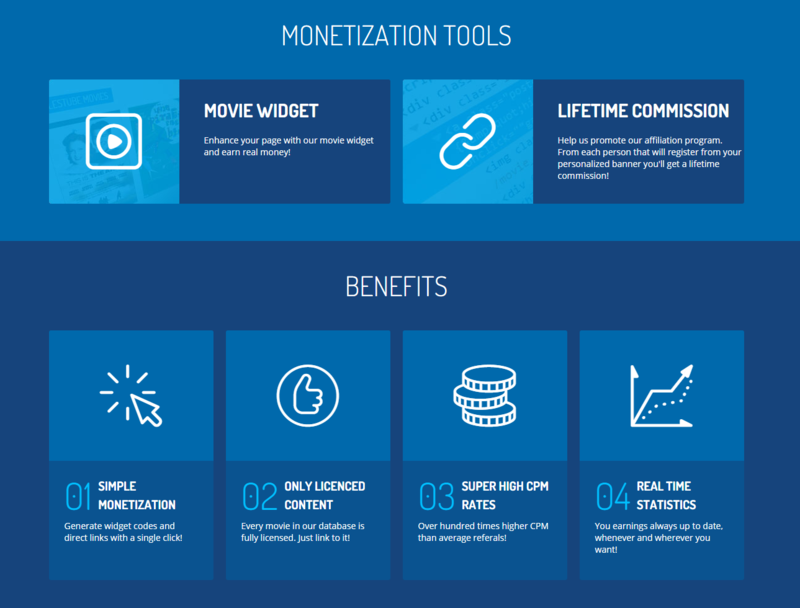 Monetize Movie Watching on Your Website!